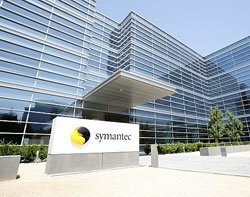 Symantec has completed its $1.28bn cash acquisition of VeriSign's identity and authentication business, announced in May. Symantec now owns the Secure Sockets Layer (SSL) and code signing certificate services, the managed public key infrastructure (MPKI) services, the VeriSign trust seal, the VeriSign identity protection (VIP) authentication service and the VIP fraud detection service (FDS). It also takes a majority stake in VeriSign Japan. Symantec CEO Enrique Salem said the deal made Symantec "uniquely" positioned to drive the adoption of identity security and restore trust online. Symantec is changing the way the VeriSign products reach the market. VeriSign's SSL Certificate Services will go through the Symantec sales channel. The VeriSign SSL and client PKI authentications services will move into the Symantec Protection Centre (SPC). Symantec's data loss prevention solutions and data insight technology will be combined with VeriSign's identity security services to authenticate users. Symantec is also setting up a new corporate identity that incorporates the VeriSign check mark, which is checked more than 250 million times a day on more than 90,000 websites in 160 countries. This will include a new corporate logo, as well as a new version of the Norton consumer logo. The external global roll-out will begin in the December quarter. VeriSign's identity and authentication business will become part of Symantec's enterprise security group under Francis deSouza.